by Livia Ly. For those who don’t know exactly what Branched Chain Amino Acids (BCAAs) are, here you go: they include the amino acids valine, leucine and isoleucine. They are part of the family of essential amino acids in which leucine plays the key role in promoting muscle protein anabolism, or synthesis. 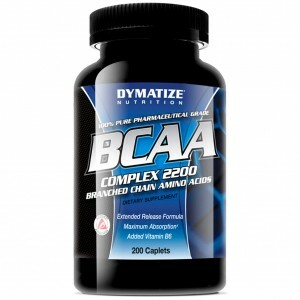 For those who are active and looking to increase performance and perhaps muscle mass, BCAAs may be worth taking. Here’s the short story of how the BCAAs might act as an ergogenic aid. During prolonged exercise, plasma tryptophan (another amino acid) rises resulting in feelings of fatigue. Research, however, shows that if you consume BCAAs, it may compete with free tryptophan; thus reducing your perception of fatigue. 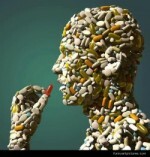 The result is that less tryptophan goes to your brain, you get less fatigued, and experience higher performance! Interesting…The effective dose is ~5 to 20 g. This can still be easily reached with protein-rich foods; however, the data on BCAAs regarding its ergogenic properties are on the three amino acids as a stand-alone supplement (not as part of a food). So are there benefits for weight trainers? Yep. BCAA supplementation before/after exercise may help with the muscle pain and damage that you get from lifting all that weight. Plus, it may promote muscle building, especially if you are brand new to the weight lifting world. Besides, BCAA supplementation before exercise may also help slow down the breakdown of muscle during exercise; also, there is some good data showing that BCAAs can reduce DOMS or delayed onset muscle soreness. However, of the three BCAAs, leucine may be the most important. Significant decreases in blood leucine occur after aerobic (11 to 33%), anaerobic lactic (5 to 8%) and strength (30%) exercises. New research from Brazil done by Humberto Nicastro and colleagues, published in March 2014, showed that BCAA/leucine and HMβ are effective supplements in the lessening of muscle damage that is caused by exercise. By the way – hydroxy-methyl butyrate, or HMβ, is formed via leucine. 1- Before exercise. Eating 3 to 6 g of essential amino acids before exercise may help you minimize muscle damage and breakdown. – Whey: just so you know, about 25% of all whey protein is made up of BCAAs, which is a substantial amount. 2- Don’t forget your post-workout snacks! BCAAs work best building up your muscles when you include them with foods that are rich in protein and carbohydrates after your exercise. 3- Leucine at each meal. It’s recommended to eat at least 2 g of leucine with each meal, or a minimum of 8 g per day. – Whey contains 10% of leucine. If you drink a shake with 25 g of protein, you will be getting 2.5 g of leucine. 4- BCAAs for your endurance exercises. For those of you who love to exercise for long periods of time – you need to eat 6 to 10 g per hour of BCAAs with sports drinks, so you can delay that fatigue that keeps bothering you. Balage M, Dardeveta D. Long-term effects of leucine supplementation on body composition. Curr Opin Clin Nutr Metab Care. 2010,13:265–270. Bishop D. Dietary supplements and team-sport performance. Sports Med. 2010,40(12):995-1017. Campbell B et al. International Society of Sports Nutrition position stand: protein and exercise. J Int Soc Sports Nutr. 2007,4:8. Da Luz C et al. Potential therapeutic effects of branched-chain amino acids supplementation on resistance exercise-based muscle damage in humans. J Int Soc Sports Nutr. 2011,8:23. Kreider RB et al. ISSN exercise & sport nutrition review: research & recommendations. J Int Soc Sports Nutr. 2010,7:7. Mero A. Leucine supplementation and intensive training. Sports Med. 1999,27(6):347-358. Nicastro H et al. Are the bcaas/leucine supplementation effects on exercise-induced muscle damage related immunity response or to Hmβ? J Nutrition Health Food Sci. 2014,2(2):1-3. Nicastro H et al. Does branched-chain amino acids supplementation modulate skeletal muscle remodeling through inflammation modulation? Possible mechanisms of action. J Nutr Metab. 2012 (2012). Pasiakos SM, McClung JP. Supplemental dietary leucine and the skeletal muscle anabolic response to essential amino acids. Nutr Rev. 2011,69(9):550–557. Sharp CP, Pearson DR. Amino acid supplements and recovery from high-intensity resistance training. J Strength Cond Res. 2010,24(4):1125-30. Shimomura Y et al. Nutraceutical effects of branched-chain amino acids on skeletal muscle. J. Nutr. 2006,136:529S–532S. Symons TB et al. Aging does not impair the anabolic response to a protein-rich meal. Am J Clin Nutr. 2007;86:451–6. 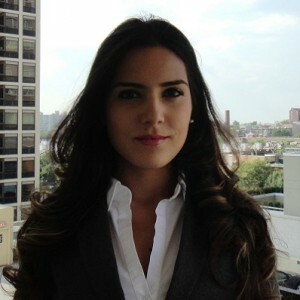 I’m a dietitian trained in Brazil. I’m a nutrition grad student in Chicago. This entry was posted in Sports Nutrition and tagged Amino Acids, BCAA, leucine, Livia Ly on May 10, 2014 by Dr Jose Antonio. The BCAA (branched-chain amino acids) leucine, valine, and isoleucine can help improve muscle recovery and even enhance performance in endurance events. Yes, that’s right. We have science to prove it. But first, let’s go back to school. Trivia Question: Which of the following macronutrients are ‘essential’ in the human diet? (The word ‘essential’ as it refers to our diet means that we need to consume that food or nutrient because our bodies do not make that nutrient endogenously). That’s right. Only two of the three are essential. And they are protein (with amino acids as the building blocks) and fat (i.e. the essential fatty acids). In the protein category, there are amino acids which are unique in their own right. They’re the branched-chain amino acids (valine, leucine, and isoleucine). And of the three BCAA, leucine is very important. Here’s why. One study looked at the effects of dietary leucine supplementation on exercise performance of outrigger canoeists (i.e. paddlers). Thirteen (ten female, three male) competitive outrigger canoeists underwent testing before and after 6-week supplementation with either capsulated L-leucine (45 mg/kg.d) [that’s equal to 3.15 grams of leucine for a 154 lb individual] or placebo (corn flour). Testing included anthropometry, 10 second upper body power and work and a row to exhaustion at 70-75% maximal aerobic power where perceived exertion (RPE), heart rate (HR) and plasma BCAA and tryptophan concentrations were assessed. What happened? During exercise, muscle protein synthesis decreases together with a net increase in protein degradation and stimulation of BCAA oxidation (the BCAAs are of course leucine, valine and isoleucine). Thus, both insulin and leucine are key regulators in muscle protein synthesis! (2) In other words, they’re critically important. The moral of the story is, when you consume this terrific trio of amino acids, exercise will feel easier and you will gain or maintain lean body mass. So when reaching for a pre-workout cocktail, make sure it includes this Ménage à trois of amino acids. 1. Crowe MJ, Weatherson JN, Bowden BF. Effects of dietary leucine supplementation on exercise performance. Eur J Appl Physiol 2005:1-9. 2. Norton LE, Layman DK. Leucine regulates translation initiation of protein synthesis in skeletal muscle after exercise. J Nutr 2006;136:533S-537S. 3. Lang CH. Elevated Plasma Free Fatty Acids Decrease Basal Protein Synthesis but Not the Anabolic Effect of Leucine in Skeletal Muscle. Am J Physiol Endocrinol Metab 2006. 4. Koopman R, Wagenmakers AJ, Manders RJ, et al. Combined ingestion of protein and free leucine with carbohydrate increases postexercise muscle protein synthesis in vivo in male subjects. Am J Physiol Endocrinol Metab 2005;288:E645-53. 5. Matsumoto K, Mizuno M, Mizuno T, et al. Branched-chain amino acids and arginine supplementation attenuates skeletal muscle proteolysis induced by moderate exercise in young individuals. Int J Sports Med 2007;28:531-8. 6. Greer BK et al. Branched-chain amino acid supplementation lowers perceived exertion but does not affect performance in untrained males. JSCR. 2011; 25:539-44. 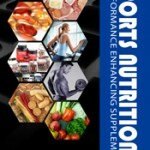 This entry was posted in Articles, Sports Nutrition and tagged BCAA, ISSN, Jose Antonio on May 26, 2011 by SNI.